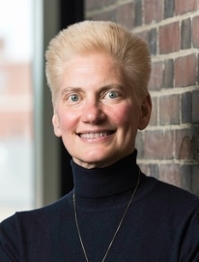 Professor Diane Dalecki of the University of Rochester Department of Biomedical Engineering is partnering with Imaginant, Inc. to develop ultra-high-frequency ultrasound transducers and novel batch-manufacturing processes for the biomedical and biotechnology markets. Imaginant, Inc., located in Pittsford, N.Y., is a world leader in ultrasonic instrumentation for non-destructive testing. This joint project enables the advancement of Imaginant's innovative, wafer-level, transducer-manufacturing process as well as the development of novel bioengineering applications and systems based upon these transducers. The project is funded by a Manufacturing Grant from the Jeff Lawrence Innovation Fund. Manufacturing Grants are designed to encourage collaboration between New York State non-profit organizations and companies that work with the manufacturing industry.